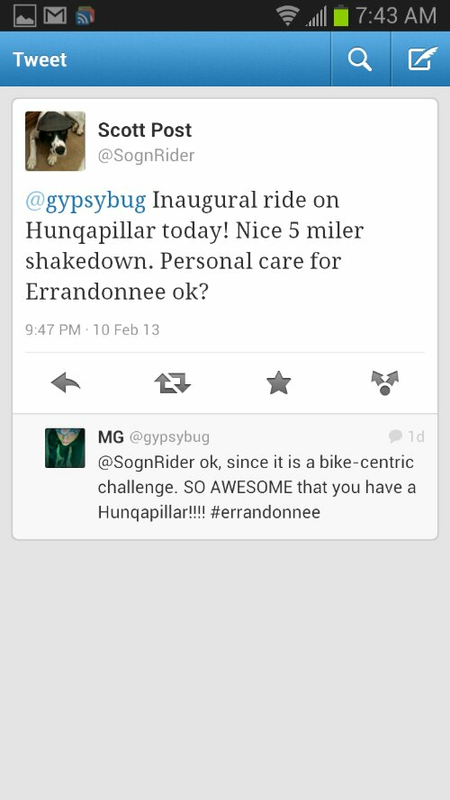 A heartfelt thanks to everyone who has embraced and participated in the Errandonnee so far. 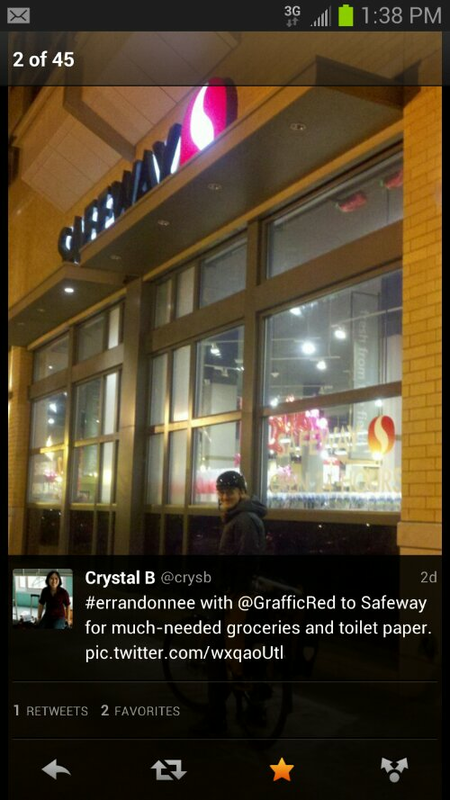 An errandeur team stops at a local Safeway to pick up groceries (at night!). 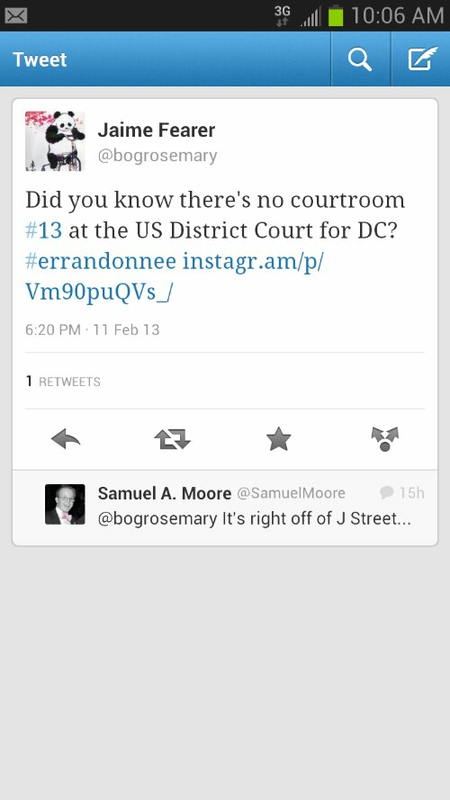 A revelation is had about courtroom 13. An errandeur brings happiness to a puppy. 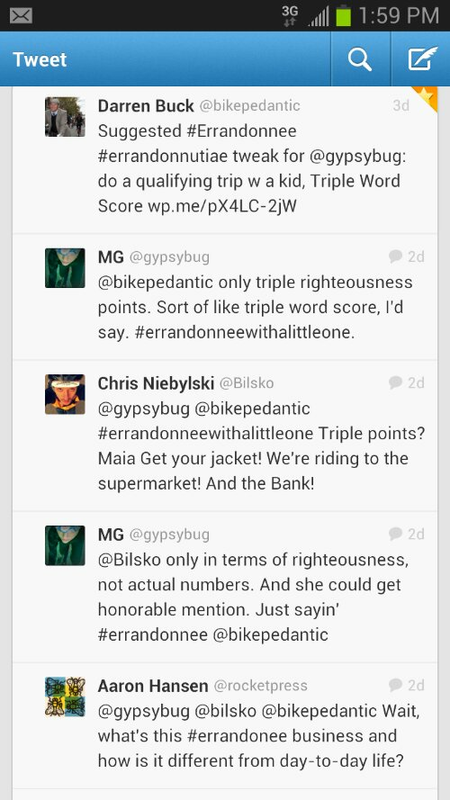 A blog-inspired discussion of what to like (or not) about the Errandonnee transpires. 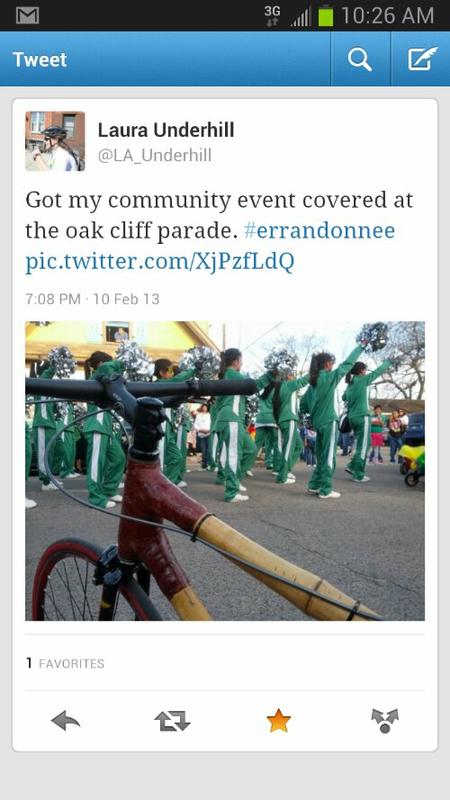 @LA_Underhill takes her bamboo bike out to see the Oak Cliff parade. Bamboo! 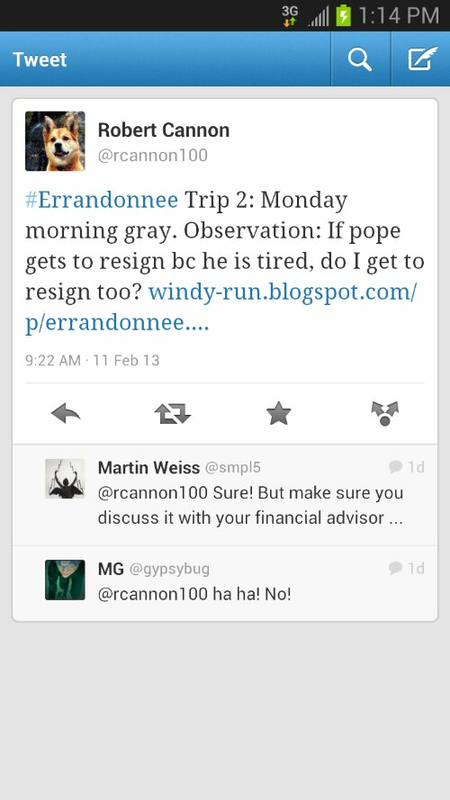 A Monday morning commute leads to a Pope-related observation. A tweep makes an errandonnutiae proposal to encourage people to participate with their children. 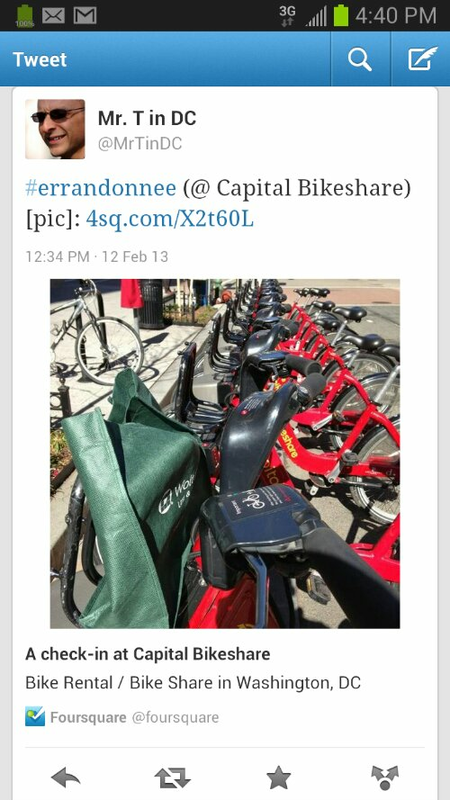 @MrTinDC uses Bikeshare as errandeur transportation and earns extra righteousness points! 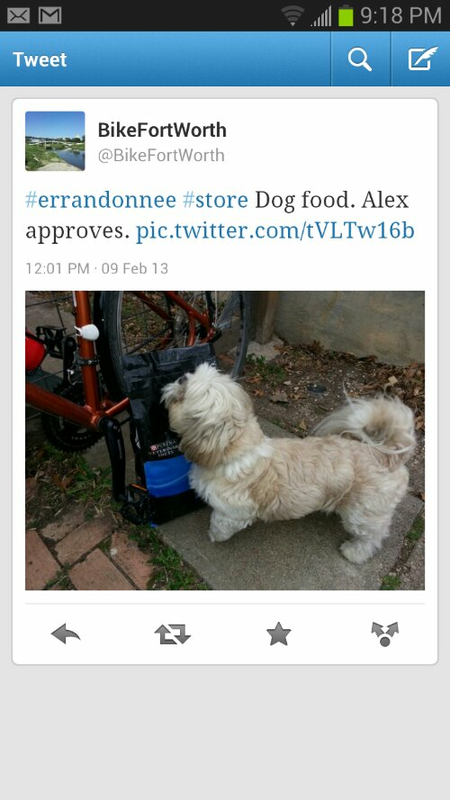 Thanks to everybody who has brought the Errandonnee to life. You are awesome! 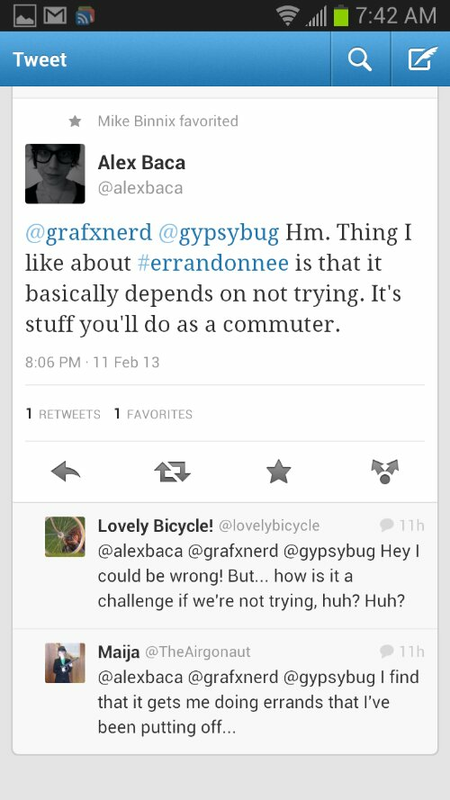 There is still plenty of time to complete the Errandonnee so if you haven’t yet taken the plunge, give it a shot. You might like it and even accomplish some important errands along the way, too! Thanks for including me in your write-up. Other than stirring up controversy on my silly blog, I have not been very good about tweeting my trips. My biggest difficulty with the challenges is, surprisingly, the pictures. Oh and the miles, given our street conditions at the moment. But hey, excuses excuses. I shall persevere. Tweets are definitely not required, though as I noted, I love reading them, seeing how people connect through the challenge, and seeing how people make these kinds of challenges their own. Tweets and blog posts just add to the experience.